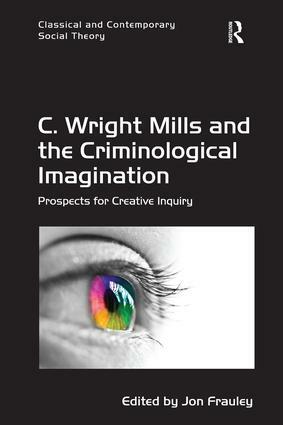 this book for all criminologists and social scientists." Jon Frauley is Associate Professor of Criminology at the University of Ottawa, Canada. He is the author of numerous articles and book chapters, including Criminology, Deviance and the Silver Screen: The Fictional Reality and the Criminological Imagination and co-editor of Critical Realism and the Social Sciences: Heterodox Elaborations. Classical and Contemporary Social Theory publishes rigorous scholarly work that re-discovers the relevance of social theory for contemporary times, demonstrating the enduring importance of theory for modern social issues. The series covers social theory in a broad sense, inviting contributions on both 'classical' and modern theory, thus encompassing sociology, without being confined to a single discipline. As such, work from across the social sciences is welcome, provided that volumes address the social context of particular issues, subjects, or figures and offer new understandings of social reality and the contribution of a theorist or school to our understanding of it. The series considers significant new appraisals of established thinkers or schools, comparative works or contributions that discuss a particular social issue or phenomenon in relation to the work of specific theorists or theoretical approaches. Contributions are welcome that assess broad strands of thought within certain schools or across the work of a number of thinkers, but always with an eye toward contributing to contemporary understandings of social issues and contexts.